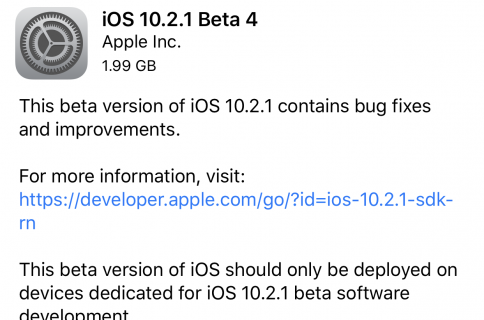 Registered iOS developers can download the full beta 3 software from Apple’s Dev Center, and existing devices running an iOS 6.1 beta can upgrade to today’s new firmware over-the-air. Just open the Settings app, and tap General > Software Update > Install Now. 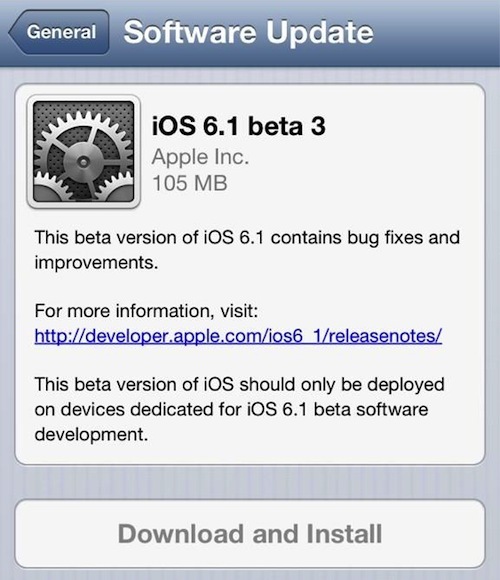 Thus far, all three versions of the 6.1 beta have been light on any major differences from its predecessor. The list for changes includes new boarding pass behavior in Apple’s Passbook application, tweaks to Safari, and some backend changes in Apple’s mapping software. 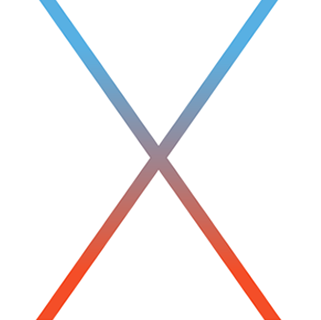 It’s also worth noting that Sn0wBreeze creator and known iOS hacker iH8sn0w has announced that iOS 6.1 beta 3 expires at the same time and on the same date as beta 2: Friday December 28, 2012 @ 12AM (GMT). That means, we should see the next beta before then. We’ve just installed today’s update ourselves, and as always, we’ll keep our eyes peeled for anything worth note and report back to you. Until then, feel free to let us know if you discover any changes in the new firmware either down in the comments or via Twitter.